Pain Doctor Houston (https://paindoctor.com/pain-clinic/texas/katy/) is the first medical practice in Texas to use an innovative neurostimulation device designed to relieve the sensation of pain in patients suffering from chronic intractable pain. The first procedure to implant this device took place at the Sugar Land Memorial Hermann Surgery Center on Thursday May 5. Dr. Ioannis Skaribas, a nationally-recognized lecturer on spinal cord stimulation and chronic pain management, performed the procedure on Jo D. Gerza. The St. Jude Medical Axium™ Neurostimulator System for dorsal root ganglion (DRG) stimulation was specifically created to treat pain associated with complex regional pain syndrome (CRPS). 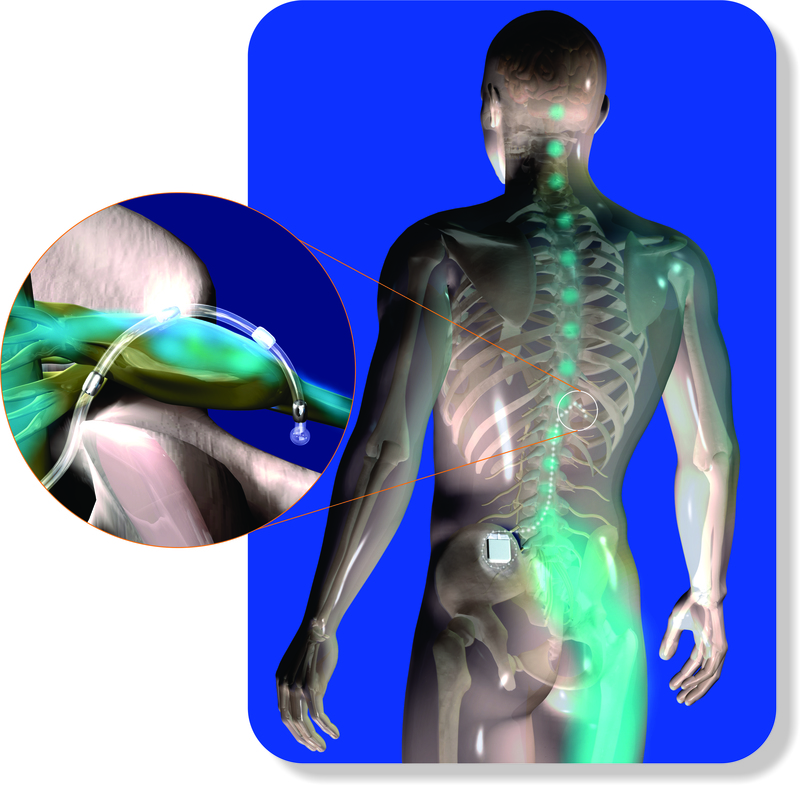 Unlike traditional neurostimulation devices, the St. Jude Medical Axium device targets the DRG, a spinal structure densely populated with sensory nerves that transmit information to the brain via the spinal cord. This first-of-its-kind device can target specific areas of the body where pain occurs. As a result, DRG stimulation gives physicians the ability to provide pain relief to patients with neuropathic conditions otherwise underserved by traditional spinal cord stimulation (SCS). This therapy provides an exciting new treatment option for patients who suffer from chronic lower limb pain associated with complex regional pain syndrome. It's especially important for patients who have tried multiple treatment options before without receiving sufficient pain relief. "I feel blessed to be able to perform the first DRG stimulation implant in Texas and to be part of the PainDoctor team in Houston. The patient suffering from long-term intractable CRPS -1 (RSD) pain of the foot is doing great and is now pain free." According to the Institute of Medicine, chronic pain affects more than 100 million people in the U.S. The incidence rate for this condition outpaces heart disease, cancer, and diabetes combined. Research suggests that chronic pain costs the U.S. an estimated 515 million workdays and generates upwards of 40 million visits to physicians annually. “I would like to encourage every patient that suffers from intractable pain from CRPS -1 (RSD) or CRPS -2 (causalgia) to look in to this revolutionary FDA-approved procedure. Our Pain Doctor Houston team is available to provide consult and help them get their life back," says Dr. Ioannis Skaribas. Long-term data from the ACCURATE clinical trial have shown significantly more patients receiving DRG stimulation achieved pain relief and greater treatment success when compared to patients receiving traditional spinal cord stimulation (74% versus 53%). Findings from the same study also showed that patients receiving DRG stimulation reported no differences in paresthesia (tingling or "pins and needles") sensations due to changes in body position when compared to traditional spinal cord stimulation. After 12 months, nearly all patients receiving DRG stimulation reported better stimulation targeting in painful areas, without extraneous paresthesia, than patients receiving traditional spinal cord stimulation (94% vs. 61%). 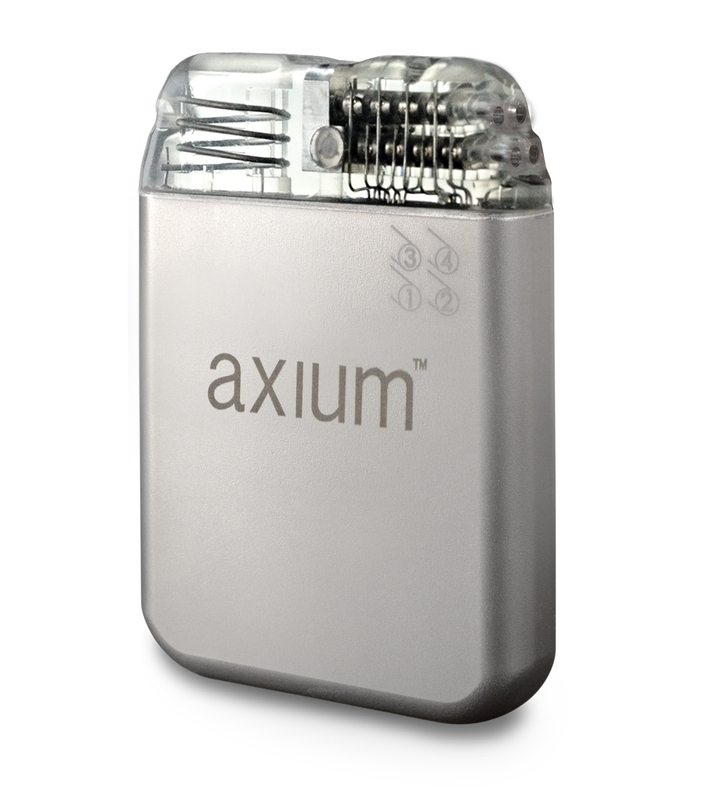 The Axium Neurostimulator System stimulates a spinal target called the dorsal root ganglion (DRG). The DRG contains primary sensory neurons that transmit pain signals from nerves to the brain. DRG stimulation with the Axium system has been shown to be particularly effective for treating pain in areas currently underserved by traditional spinal cord stimulation, such as the groin, lower legs, and feet. The Axium system is approved for use in the U.S., Europe, and Australia. Pain Doctor Houston is focused on changing the lives of those in pain. Through patient education, professional outreach and research, and community awareness, we stay at the forefront of chronic pain management and treatment. Our physicians and staff provide world-class care for the patients in our community, with a focus on comprehensive and innovative treatments.